Hello everyone! Great news about one of the area&apos;s finest foodie locations! Carmel Café & Wine Bar’s September wine dinners highlight the legendary Antinori family vineyards. 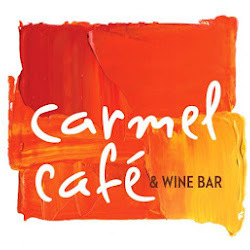 The wine dinners will be 6:30-8 p.m. Thursday, Sept. 20, at the following Carmel Café restaurants: Countryside/Clearwater, Carrollwood/Tampa, and the newly opened South Tampa restaurant. Cost is $59.95 per person (plus tax and gratuity). Space is limited and reservations are required. Carmel Café Executive Chef Steve Cook will complement the featured Antinori wines with Italian-style rustic Mod Med (modern Mediterranean) small plates. Be sure to check this on eout folks as it will be a great event! For more information on Tampa Bay dining, be sure to visit our website!